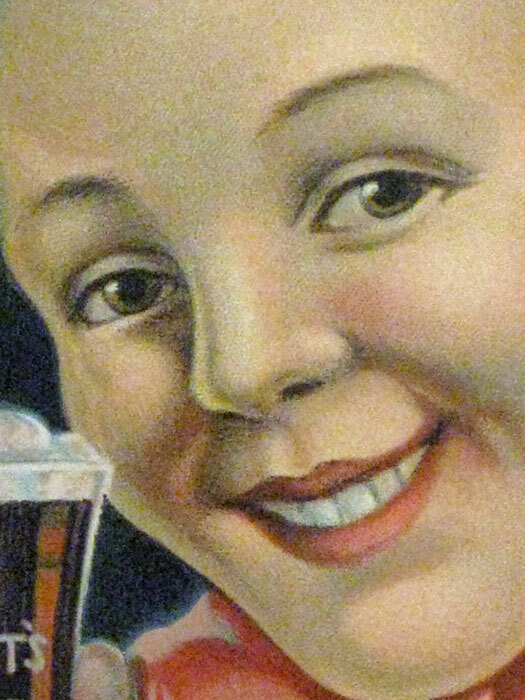 This happy young man is enjoying a refreshing glass of Dr. Swett’s Root Beer. Most likely you have heard of Hire’s Root Beer, but not Dr. Swett’s. Essentially, though, the products were very similar. Dr. Swett’s may even predate Hire’s by as many as thirty years, but Swett isn’t a terribly appetizing name and Hire’s eventually won out. This cardboard sign is 13.5 by 18 inches. It dates to about 1905. 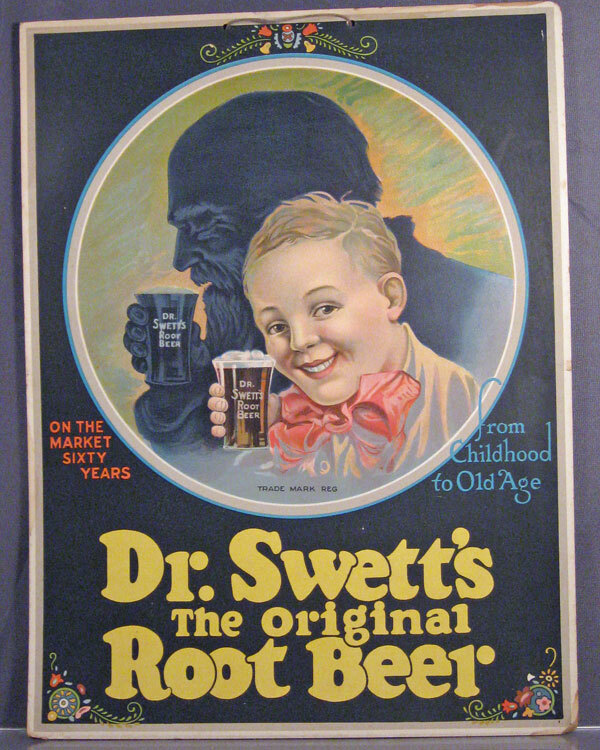 For more information about the history of Dr. Swett’s Root Beer and to see some great photos of other pieces of Dr. Swett’s advertising, go here. This entry was posted in 1900's, Advertising, Americana, Carol, Ephemera, Signs. Bookmark the permalink.